Picnic Season Prep! || pattern round-up on Mostly Sewing! 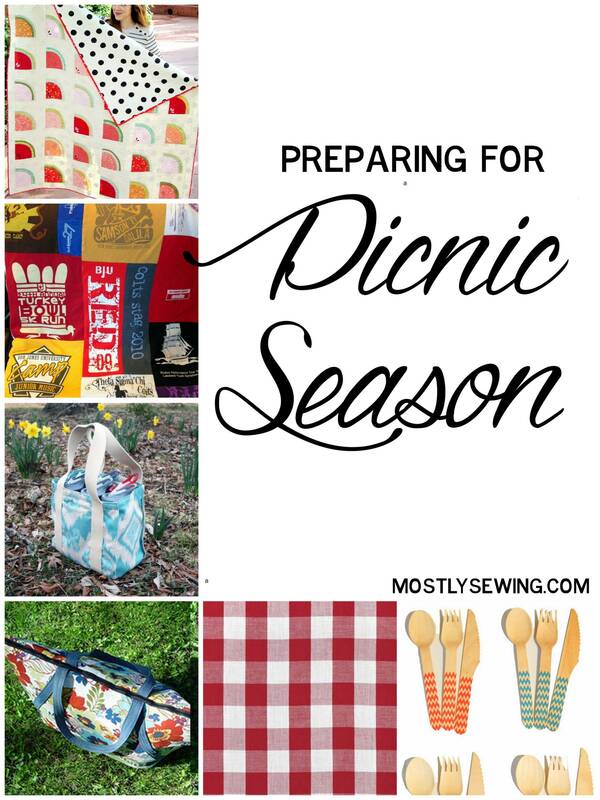 With summer starting and Memorial Day around the corner, picnic season is here! I found a few super cute picnic must-haves that you can make and use for the whole summer! I plan on using my t-shirt quilt for picnics, but I LOVE this watermelon quilt by Suzy Quilts! It’s perfect for summer. I love the water bottle tote, which is perfect for beach trips! Here’s a pattern for an insulated tote, and you can use this all the time for grocery shopping! You can’t eat outside without gingham! Fortunately, Amazon lists a bunch of colors and check sizes of gingham…. pick out your favorite! So you can’t sew them, but they’re cheap and perfect for outdoor dining. I love these disposable wooden utensils. Yes, disposable, but better than plastic. And here are some compostable/disposable wooden plates. Are you ready for picnic season? What are some of your favorite DIY projects for summer dining?